After being teased back in August, the day is finally here, and Goat Simulator is now available to all through Google Play. 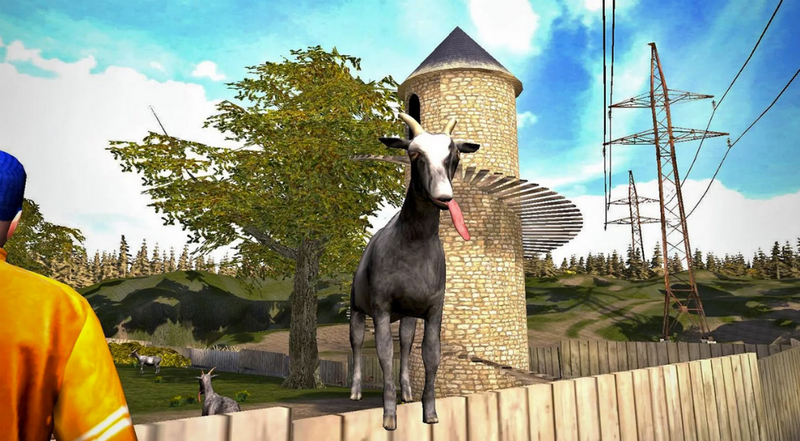 In Goat Simulator, priced at $4.99, which is quite reasonable for the title, you play as a renegade goat set on destruction. Using an open world, you must cause as much havoc as possible, whether it is crashing cars, breaking buildings, or anything else your mind can come up with. Take a peak at the game features and you will see that you should go into this game with an open mind. Again, the game costs $5 through Google Play with no IAPs, so go check it out.